It’s by far the best nightclub in the Mykonos town, if not the entire island. 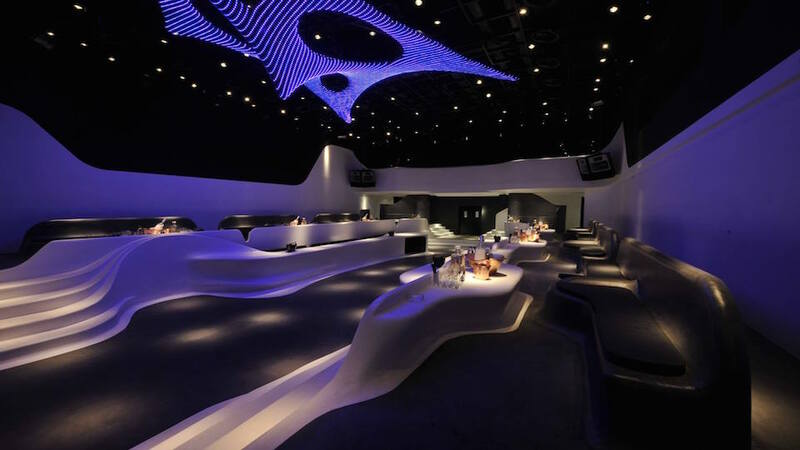 The name Void is the perfect way to describe this Mykonos nightclub - it is a sprawling architectural compound of bar and dance floor rising up at the sides to an additional level. The ground floor is expansive and is one of the best places to experience the aesthetics of the venue, particularly when it is not too busy. Levels two and three feature seating areas, while the gallery above has VIP tables, its own bars, and large windows overlooking the Void below. The décor of the Void is futuristic with flowing lines, endless curves that resemble sound waves, fluorescent lights, and unique shapes. Void is one of the biggest clubs on the island and, for many, it is also the best. It has a fantastic line up of DJs, including some well-known names. More often than not it is completely packed, but this adds to the atmosphere. While it is unarguably futuristic, Void says it stays true to its Mykonian roots as it has a minimalistic design. That is true, but it has an eye to the future more than one to the past.